We'll probe the life of Jesus Christ in order to understand the true humanity he displayed. You'll learn that the Bible is non-wavering in its teaching that Jesus Christ is fully God, and fully human. 1) Why are the recorded genealogies of Christ in Matthew and Luke important? 2) Jesus' appearance to others was unmistakeably what nationality? 3) How does Jesus' own testimony reveal his humanity? 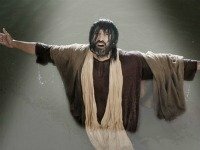 You can be certain that all biblical and secular historical evidence for Jesus Christ indicates that he was a real person, who lived a real life and died a real death. There are people who teach that Jesus Christ did not have a real human body. For instance, Mary Baker Eddy of the Christian Science movement says in her Miscellaneous Writings that "Christ is incorporeal, spiritual." The teaching is pre-condemned by the Apostle John in the Bible, "This is how we know if they have the Spirit of God: If a person claiming to be a prophet acknowledges that Jesus Christ came in a real body, that person has the Spirit of God. But if someone claims to be a prophet and does not acknowledge the truth about Jesus, that person is not from God. Such a person has the spirit of the antichrist." (1 John 4:2-3). In previous lessons, we've already established the fact that Jesus Christ is deity, the Son of God and second person of the Christian Trinity. Believing in his full humanity will be our focus in this particular lesson. A true believer in Jesus Christ must accept that Jesus Christ was fully human, born of a virgin woman, lived an entire human lifetime and died a bodily death. Jesus' physical, human body was raised from the dead, and, in fact, Jesus Christ currently exists in his glorified human body. Nothing short of believing in these essential truths will allow for personal salvation. Two Bible writers, Matthew and Luke, recording the life of Jesus Christ included Jesus' genealogies in their respective gospels. 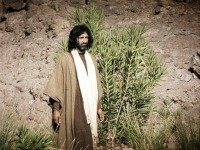 Matthew's account includes forty-one ancestors (Matthew 1:1-17) and Luke's account includes seventy-seven ancestors (Luke 3:23-38). Both writers, under inspiration of the Spirit (2 Timothy 3:16), assured that no one could mistake Joseph as being the biological father of Jesus. The Holy Spirit was the biological source of Jesus. Luke also made sure that he preserved Christ's claim as king because that birthright passes through the male lineage, which is the reason he listed Joseph. The life of Jesus Christ began normally enough, though he was born to a virgin of humble means. He was cared for by his earthly family, and most likely partook in the same education as neighboring children. The Bible not only gives his genealogies, but also lists his brothers and other relatives. Jesus unmistakeably appeared as a Jew, such as the time he met with the Samaritan woman at the well (John 4:9). There was never a mention in the Bible that his appearance drastically changed before his crucifixion. He was born a Jew, raised as a Jew, and will remain a Jew for eternity. The life of Jesus Christ revealed that, like the rest of us, he had a physical body (Matthew 26:12). Jesus also spoke of his own soul (Matthew 26:38). And finally, Jesus attested to the fact he possessed a human spirit (Luke 23:46). All of these elements are vital for a human being. Paul mentions the make-up of a human in 1 Thessalonians 5:23, "Now may the God of peace make you holy in every way, and may your whole spirit and soul and body be kept blameless until our Lord Jesus Christ comes again." First Corinthians 15:21 also refers to Jesus as a man, "So you see, just as death came into the world through a man, now the resurrection from the dead has begun through another man." Reject all teaching to the contrary. Jesus Christ experienced the full range of human emotions and felt needs. He hungered and thirsted. He grew tired and he slept. He grieved and he wept, on and on. Finally, Jesus suffered terrible physical agony and he died. Jesus remained fully God while he was alive on this earth. 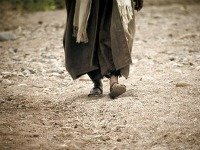 He also demonstrated a critical element to our own spiritual life by fully relying on the Father through his Scripture study, fellowship, service and prayer. You would think Jesus, being God, wouldn't have to do all those things, right? The life of Jesus Christ proves otherwise. He also went through the worst physical treatment humans and hell could throw at him. Because of this abuse, he can feel what we feel, and suffer what we suffer (Hebrews 4:15). He can relate to us, so therefore, he is our supreme example. One extremely important matter must be brought to your attention, too. The life of Jesus Christ proclaims that he was truly tempted, but never sinned. That's the most important difference between him and every other human. Jesus wasn't born with a sin nature like us, therefore, when tempted he maintained his trust in God. He continued to honor and please his heavenly Father through every temptation, trial and tribulation. For that, you and I need to thank him and praise him. Because he was perfect, so we can soon be perfect. Jesus Christ is fully God (John 5:23; 10:30). Jesus Christ is fully human (John 1:14). Jesus was conceived by the Holy Spirit, and born of a virgin (Matthew 1:20-25). Jesus Christ lived a completely sinless life (1 Peter 1:19). Jesus died on the cross for sinners (Romans 5:8). Jesus rose from the grave to defeat Satan, hell, and human death (1 Thessalonians 4:14). Jesus gives eternal life to all who trust in Him (John 3:16). Jesus will come again to judge both the living and dead (2 Timothy 4:1). Mentally accepting these biblical truths is essential - for starters. Loving Jesus Christ with your entire heart is equally essential. Missing the mark with either one of these two calls-to-action will block you from receiving God's gift of eternal life. You're called to humble yourself, believe in the biblical truths he gives you and then devote your life fully to him. When you're willing, able, and ready - tell him so in a prayer. Keep seeking Jesus until you meet him. Let me know when God grants you eternal life. I would love to celebrate with you. 1) Is believing in the virgin birth of Christ essential to salvation? Why or why not? 2) Why was Jesus' suffering and pain an important part of his earthly life? 3) Was the temptation of Christ critical in the life of Jesus Christ? If so, why? The doubts which have been cast on the historical reality of Jesus are, in my judgment, unworthy of serious attention. James Frazer, non-Christian writer. After sharing this page on Facebook or Twitter below download your FREE printable Bible Study Lessons: The Life Of Jesus Christ, Lesson 1.19. Special Note: I'm grateful to Big Book Media & Free Bible Images for the use of their photos for The Life of Jesus Christ Bible study lesson.